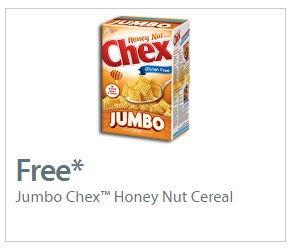 Try new Jumbo sized Chex Honey Nut Cereal 705g Free with the purchase of any retail size Chex cereal 345-395g with the coupon below! This is a print coupon, available while quantities last. Click here to request the coupon.